Following a slowdown in 2016, the country's real GDP growth rate bounced back and reached 4% y-o-y in 2017. The agricultural sector has experienced a strong recovery. However, non-agricultural GDP remained sluggish at around 2.8% y-o-y. 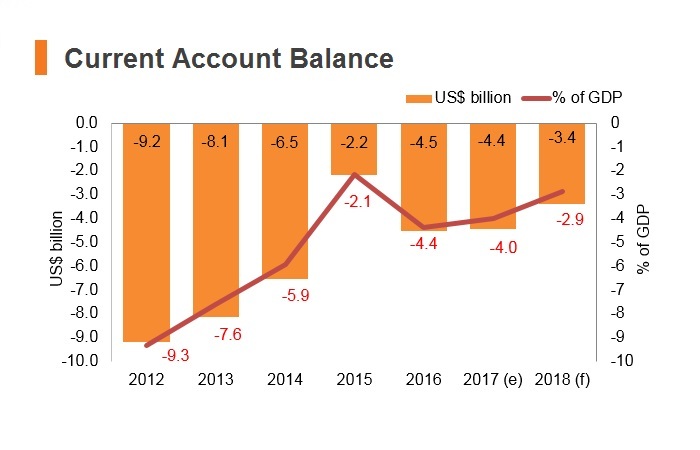 Over the medium term, Morocco's economic outlook should improve, provided the government remains committed to implementing deep and comprehensive reforms. 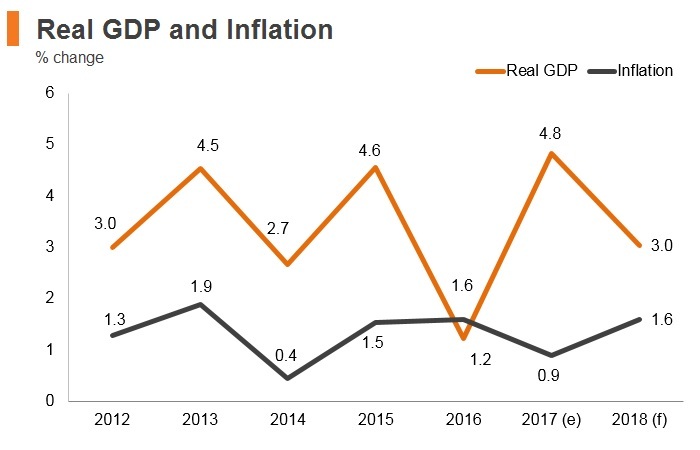 The outlook remains linked to continued fiscal consolidation, a flexibly managed exchange rate regime and the implementation of structural reforms in key areas, such as education and the labour market in order to reduce unemployment (especially among the youth), improve the business environment and enhance human capital. Parliamentary elections. King Mohammed picked Abdelilah Benkirane for a second term as prime minister after his party won the most seats. King Mohammed dismissed Abdelilah Benkirane from his post as prime minister due to his failure to form a coalition government. The king chose former PDJ secretary-general Saad-Eddine El Othmani as Benkirane's successor. Africa’s fastest train has started operating in Morocco, halving the time it took to travel between Casablanca and Tangier. 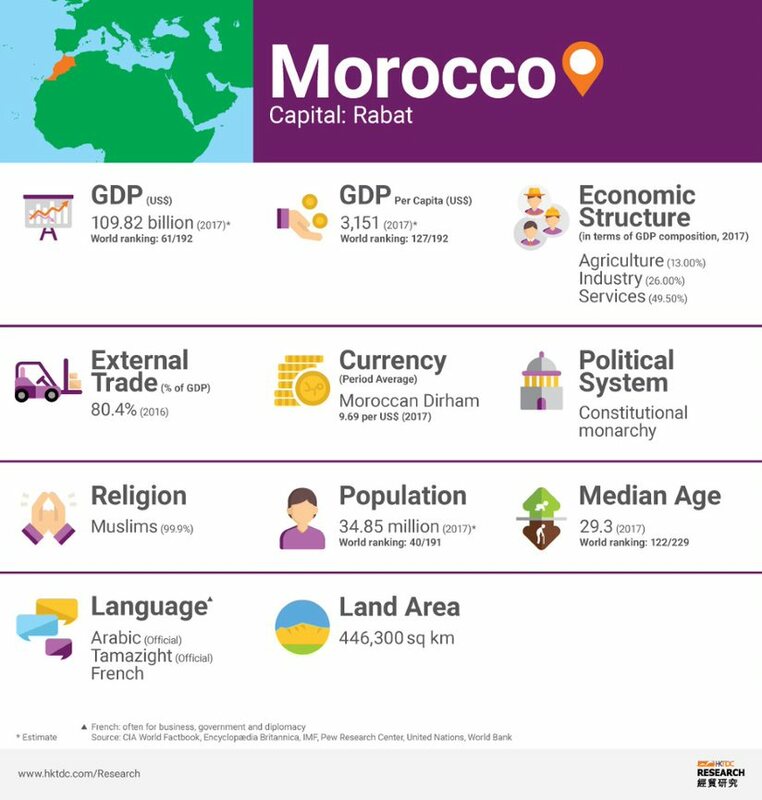 It took seven years and USD2.4 billion – funded by the governments of Morocco, France, Saudi Arabia, Kuwait, and the UAE - to build the high-speed railway line. 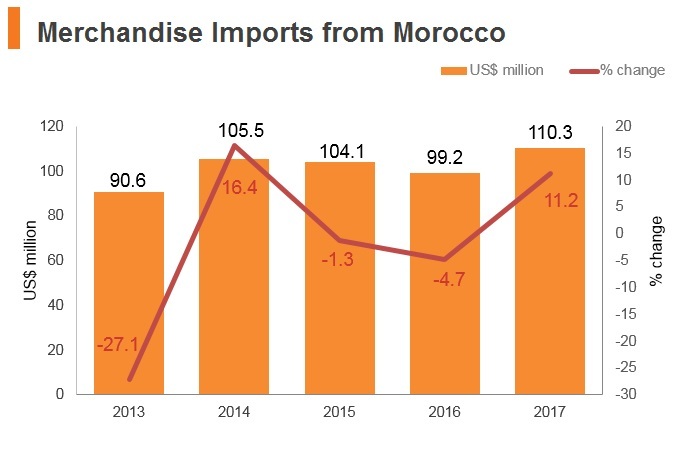 The Moroccan government's commitment to expanding international trade and striking further free trade agreements (FTAs) has seen a reduction in tariff and non-tariff barriers. 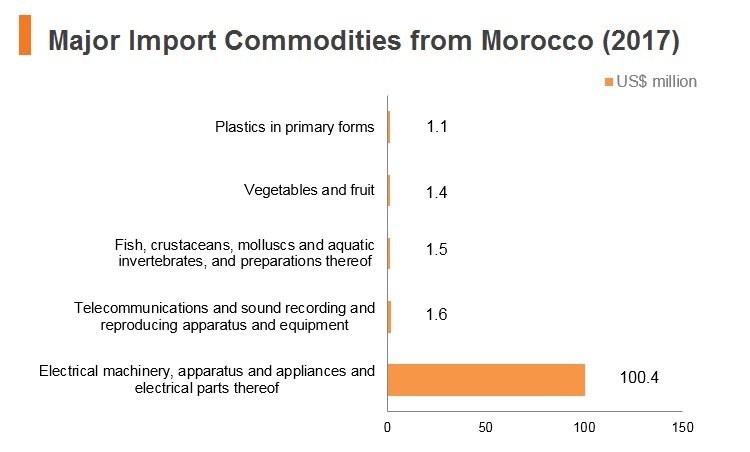 The weighted average import tariff in Morocco, at 3% in 2015, is among the lowest in the MENA region, indicating lower-cost imports for both businesses and consumers and boosting the country's appeal as an investment destination. 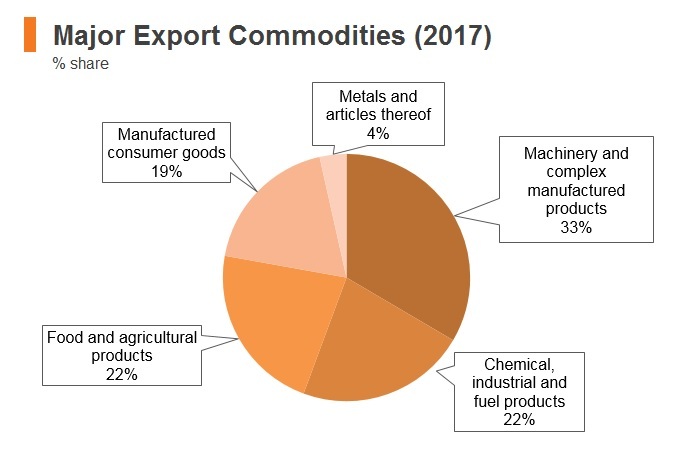 Higher most favoured nation (MFN) tariffs are applicable to some items, particularly agricultural products and clothing, but generally businesses benefit from competitive trade tariffs. 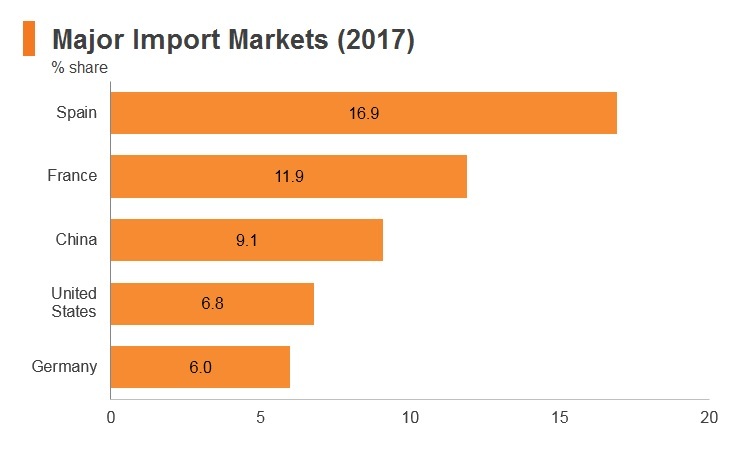 The customs process can be somewhat slow and burdensome, with bureaucracy remaining a barrier to trade, but generally documentary and customs compliance is more efficient than in other MENA states. Other non-tariff barriers such as inspections and onerous quality standards pose minimal obstacles. 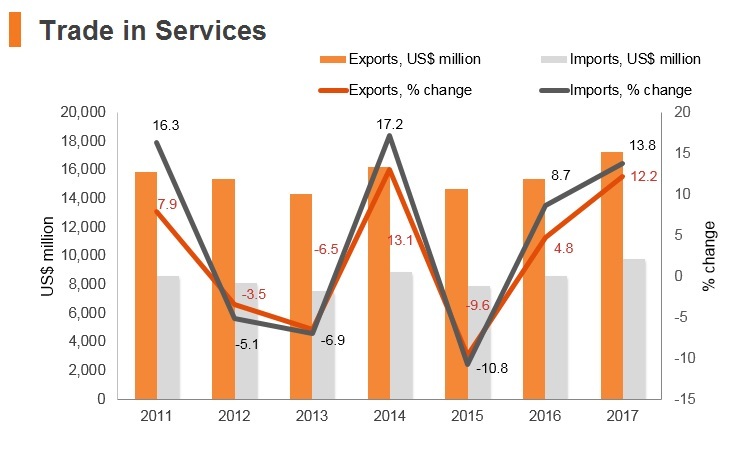 The government imposes a restriction on prepayment for import orders at a maximum of 30% of the total cost in order to manage foreign currency outflows. This leaves businesses reliant on trade financing such as letters of credit, which can prove costly and pose a potential barrier to trade. Morocco re-joined the African Union (AU) in January 2017. Its application in June 2017 to join the Economic Community of West African States (ECOWAS) has also been accepted. 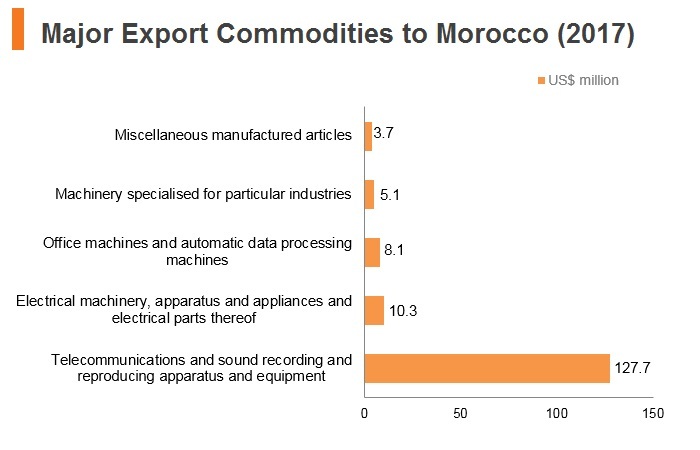 Morocco-United States: The FTA came into force in January 2006. 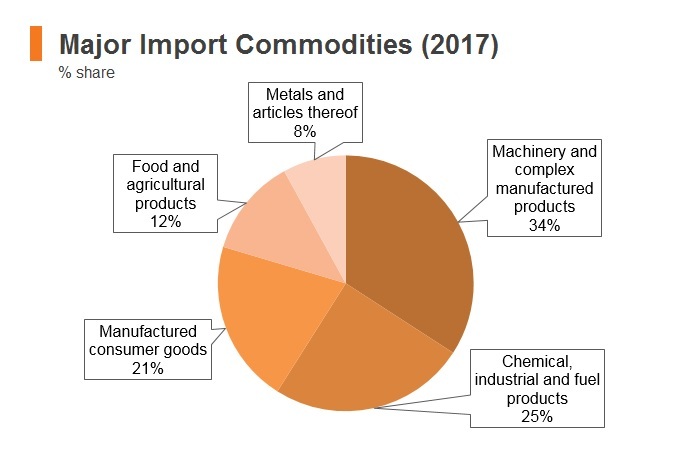 The United States is a trading partner of Morocco's and this agreement has resulted in Morocco reducing its tariffs on imports from the United States. 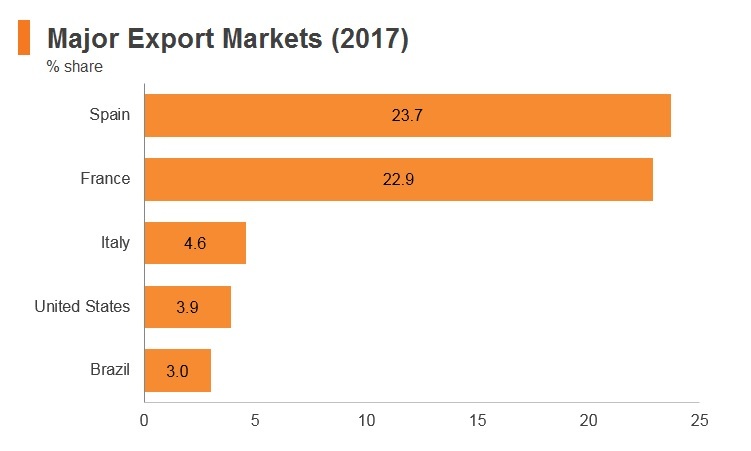 Tunisia, Egypt, Jordan and Morocco: While none of these countries is within the top five exporting or importing partners of Morocco, this agreement serves to encourage inter-regional trade in the MENA region. Morocco-Turkey: The FTA came into force in January 2006. Agadir Agreement: The FTA came into force in March 2007. The signatories are Egypt, Jordan, Morocco and Tunisia. European Free Trade Association (EFTA)-Morocco: The FTA came into force in December 1999 and includes Iceland, Liechtenstein, Norway, Switzerland and Morocco. European Union (EU)-Morocco: The FTA came into force in March 2000. Association Agreement with the EU: The EU accounts for around 60% of Morocco's exports and, therefore, trade flows are further encouraged. 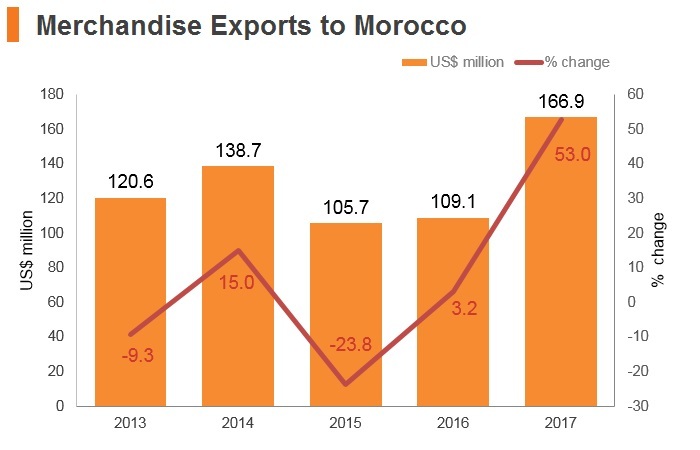 Foreign direct investment (FDI) in Morocco is welcomed into a wide range of sectors and has traditionally been channelled into sectors such as textiles manufacturing, autos, real estate, finance and tourism. Recent investment announcements have included renewable energy projects (notably the world's largest concentrated solar power plant), as well as autos production plants and port expansion. 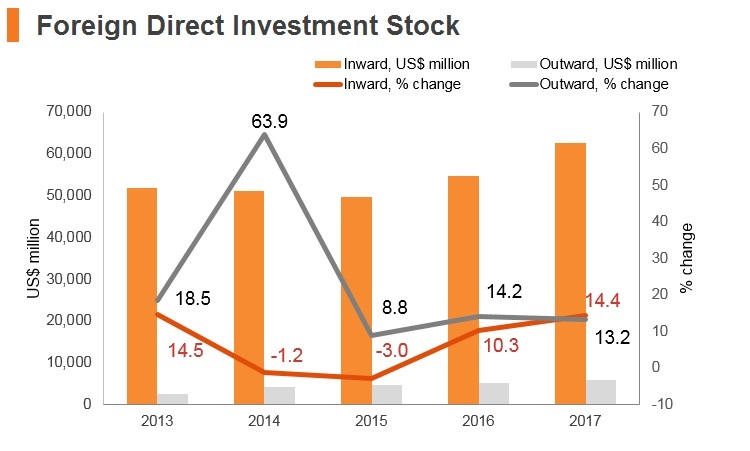 Morocco's openness to FDI means that foreign investors face few regulatory or policy obstacles when entering the country's market. Most sectors have no restrictions on foreign ownership and there is no mechanism for mandatory government screening of approval of projects. 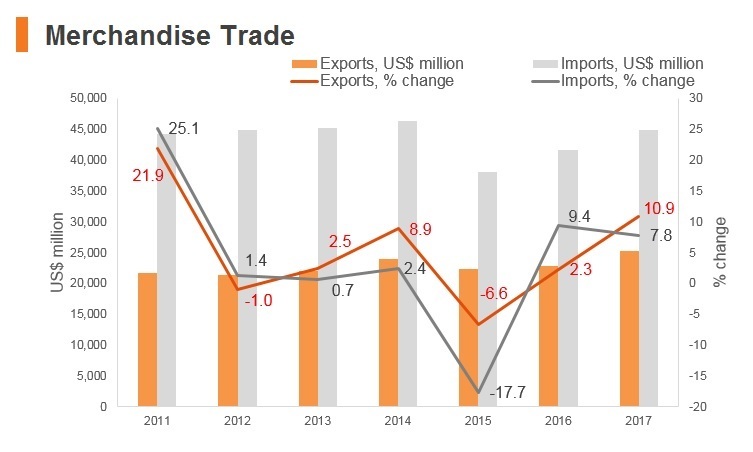 The only meaningful barriers to foreign investment concern caps on foreign involvement in air and maritime transport and fisheries, and the presence of state-owned enterprises (SOEs), which limit private sector activity in some sectors, notably phosphate mining. 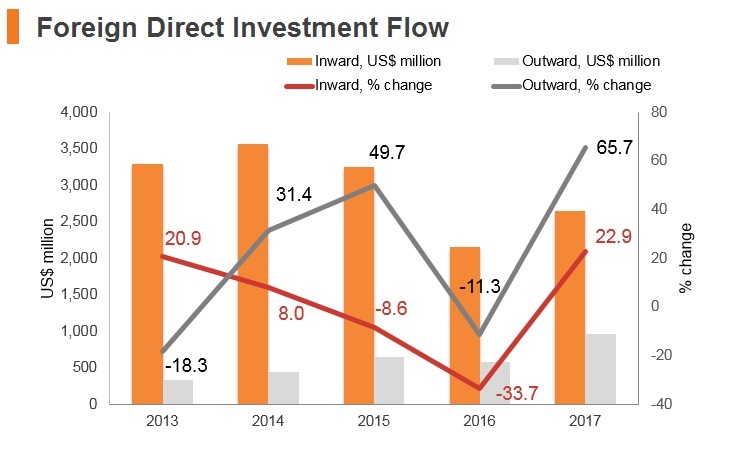 In general, these barriers do not pose a major concern for foreign investors in Morocco, and the government's favourable attitude towards FDI means that investor sentiment is little affected by them. 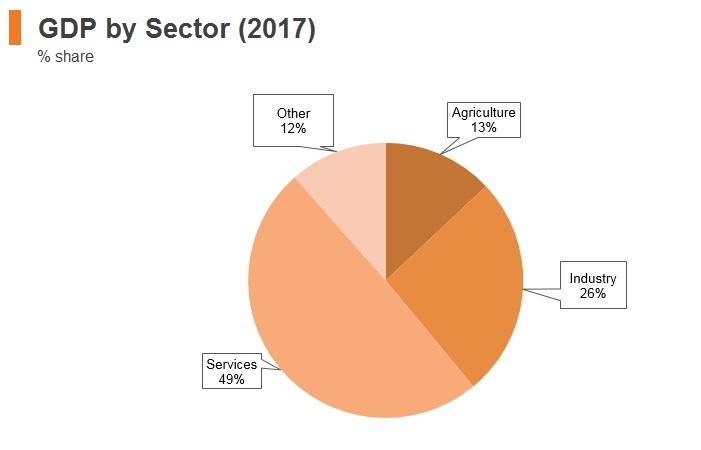 Foreign participation in companies in the air and maritime transport and maritime fishery sectors is capped at 49%. Foreign ownership of agricultural land is not permitted, though leases of up to 99 years are available. The government has a monopoly on the phosphate mining industry through the 95% state-owned Office Chérifien des Phosphates, restricting foreign participation to downstream industries, such as fertiliser production. SOEs continue to operate in some sectors of the economy, notably phosphate mining. While this precludes foreign involvement in these industries, SOEs do not significantly distort the playing field against foreign or private firms in most sectors. Companies wishing to employ foreign workers in Morocco for more skilled positions must apply for work permits (attestation de travail) from the National Agency for the Promotion and Employment of Skills (Agence Nationale de Promotion de l'Emploi et des Compétences). Required documents to obtain a permit are relatively standard: employment contract, copies of degrees, copies of passport and application form. The process is free, but can take several weeks and Moroccan bureaucracy can be complicated to navigate for foreigners. Citizens from 68 countries (including many European and MENA countries, but not Algeria) do not need visas for stays up to 90 days. Foreigners from countries that require a visa to enter Morocco as visitors must apply in person at the Moroccan consular post where they currently reside. Business visas for 90-day stays cost USD27 for one entry and USD40.5 for two entries. 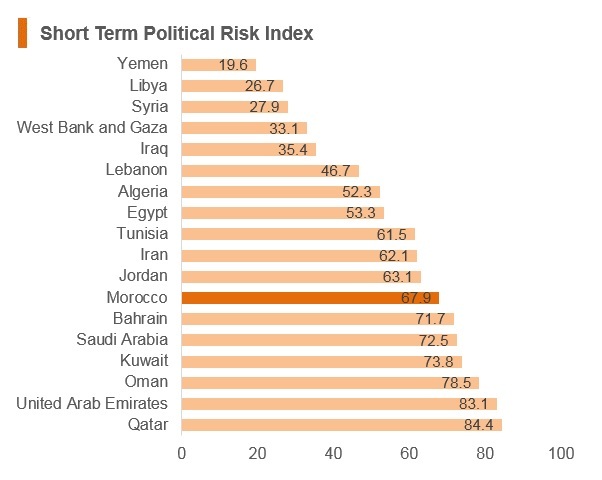 High trade exposure to the eurozone markets poses a medium-term risk to Morocco's growth. Approximately two-thirds of the country's goods exports are absorbed by its northern neighbours. As a consequence, the export sector is highly vulnerable to any economic downturn in the eurozone, particularly in light of global trade tensions and risks stemming from the UK's planned separation from the EU. The tourism industry also relies extensively on visitors from France, Spain, the Benelux countries and the UK, and any downturn in the security situation would harm growth. 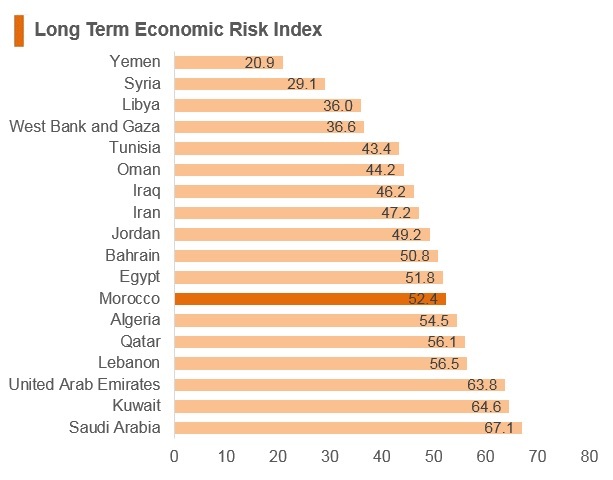 Over the longer term, the economy will benefit from greater exposure to emerging markets in the Middle East and North Africa and in Sub-Saharan Africa. 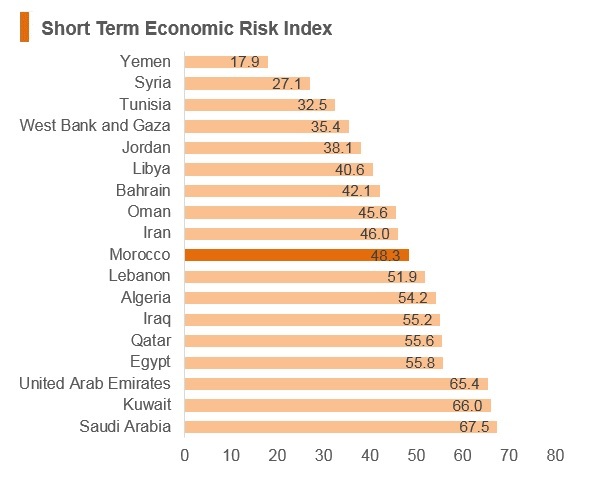 Morocco offers a number of strategic advantages across its operational risk profile which make it a more attractive location for investment than many of its regional peers. In particular, relatively high levels of security, an integrated supply chain network, openness to foreign investment and well developed financial markets contribute to an environment conducive to business. 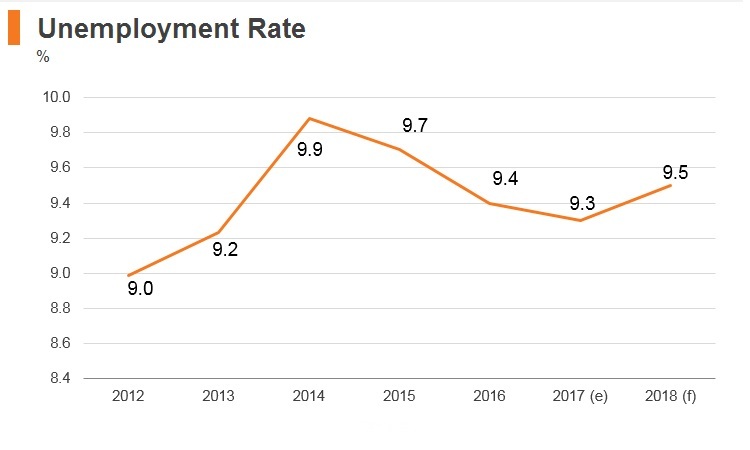 However, key risks are present in the country's labour market, including low levels of educational attainment, which dampen the competitiveness of the workforce. As a result, businesses may face elevated labour costs and limited availability of skilled workers. 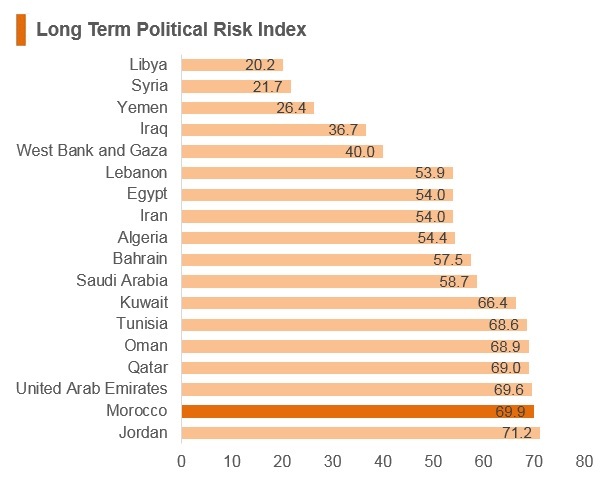 Morocco also has one of the highest income and personal tax rates in the Middle East and North Africa region, representing a notable drawback to the country's appeal for businesses. Morocoo and mainland China have a bilateral investment treaty which came into force in March 1995. The Arab Chamber of Commerce & Industry (ARABCCI) was established in Hong Kong in 2006 as a leading organisation at promoting commercial tied between Hong Kong/mainland China and the Arab World. Hong Kong residents are granted 30 days visa-free access.